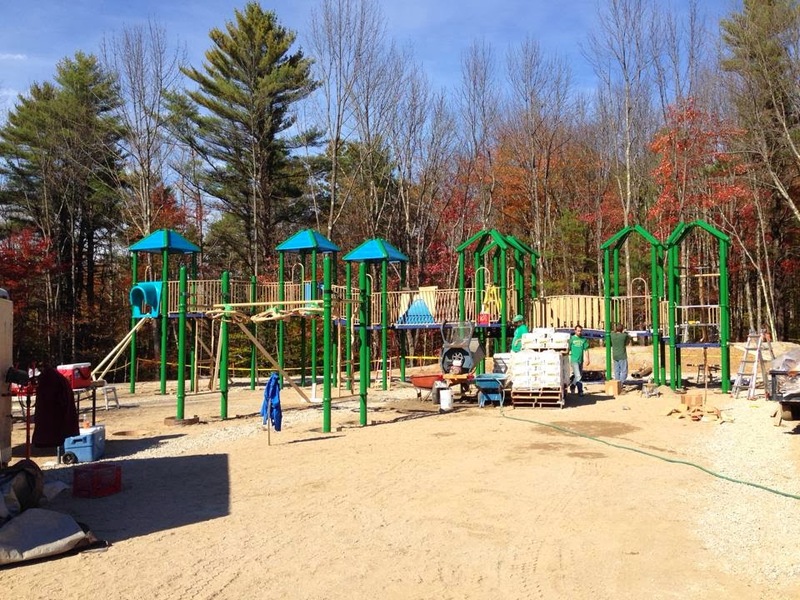 One of the two new playground pods being constructed at the Windham Primary School A-house playground has been “basically completed,” according to organizer Michelle Jordan. 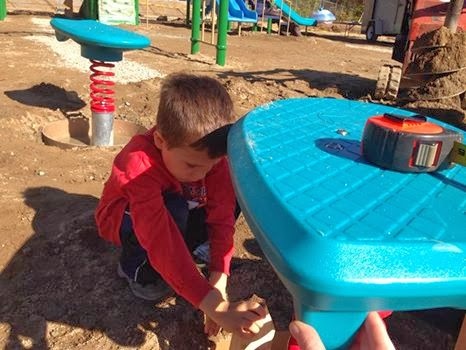 Since last spring Jordan has been working diligently to raise money to contribute to the playground structures that needed to replace the over 20-year-old equipment in place now. “We completed our community build for the playground this weekend. We had 38 volunteers throughout the day help to finish the play pod. To date, we have raised $33,000 with plans underway for the next events,” Jordan said. There will be a grand opening/ribbon cutting ceremony, she said. The second part of the project, another playground pod will be added during the summer. 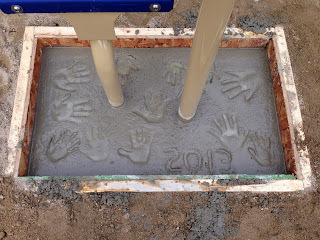 The old one will remain in place through the end of the school year. The plans also call for more play areas. “In addition to baseball field, a grass playing field, they still need to be funded through the school board. The hope is that all the work will be done next summer,” Jordan said. The playground was purchased through Miracle Playground Systems. More funds are needed to complete the project, said Jordan. On November 15, there will be a family pasta dinner for $5 per person. 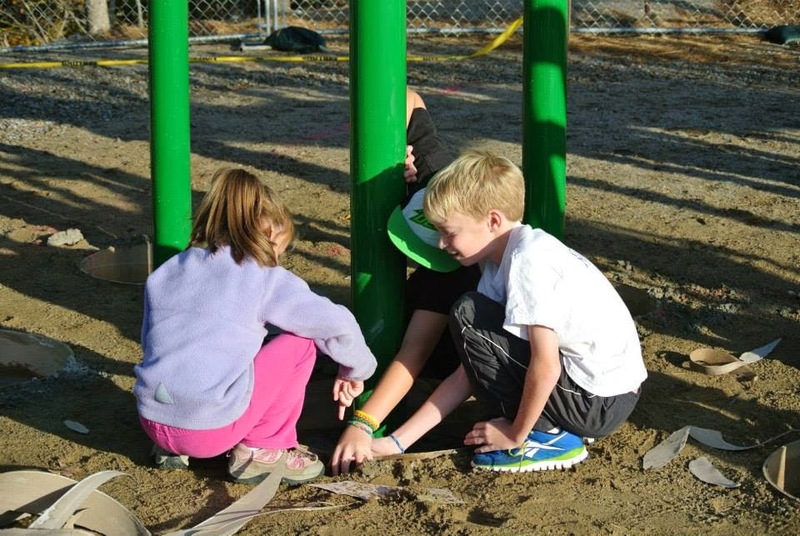 “It’s for families to come out, have dinner and raise more funds for the playground,” she added. 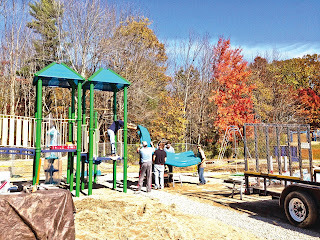 The only part left before the children can play there is spreading woodchips, which arrived on Wednesday. School lunch is changing and RSU 14 is ready. With Samantha Cowens-Gasbarro, chef and school nutrition and wellness coordinator, on the job, students and staff alike will see exciting new initiatives in the district’s nutrition program. Cowens-Gasbarro has a degree in culinary arts and nutrition from Johnson and Wales University in Rhode Island. She worked for several years in the Boston area as a personal chef, as well as helping to run a cooking school, teaching classes, working on menu development and more. Cowens-Gasbarro said this job seemed like a perfect fit between what Jeanne Reilly, RSU 14’s director of school nutrition, was looking for and what Cowens-Gasbarro had been doing in menu development, nutrition work and her work with kids. Cowens-Gasbarro attended a “Chefs Move to Schools” training in Mississipi before jumping into her position. This program is a part of first lady Michelle Obama’s “Let’s Move” initiative to fight childhood obesity. Chefs Move to Schools teaches chefs about the new federal school nutrition guidelines, and how they can work with partner schools. While Cowens-Gasbarro said there are not many school districts who have hired chefs at this point, she believes the concept will catch on. In the meantime, there are chefs who are visiting classrooms and doing guest chef appearances at schools. The program is great for bringing an awareness of what is involved in school nutrition, said Cowens-Gasbarro. School nutrition is a whole different level of food preparation that many chefs are not familiar with, she said. “You’re working with such strict limitations and yet you still have to feed them enough calories. It’s really a whole different world. This whole training was a crash course introduction to school nutrition and the obstacles they face, the deadlines, the time limits,” said Cowens-Gasbarro. Her job has many moving parts, she said, including working with kitchen staff, helping to redesign the kitchens and move towards more from scratch cooking, organizing farm to school days and other special lunches for all the schools in the district, working directly with students to teach cooking and nutrition, organizing the gardens at all the schools and the backpack program. “That keeps it interesting every day. No day is the same, and that’s what I like. That’s the best part,” she said. Training the kitchen staff and giving them the confidence that they can make things from scratch is one part of her job. “These women do amazing things. They are on a tight, tight, tight - I can’t say it enough- tight timeline in terms of getting food out for hundreds of kids. It’s really amazing and they do such a wonderful job. To say to them we’re going to do this from scratch, of course that’s frightening, it’s frightening for me,” said Cowens-Gasbarro. And yet, about a month ago, the kitchen team at the high school made fresh pasta lasagna, and it was a big hit. “That’s kind of a nice team building activity for the kitchens, even though it’s kind of scary when you go into it. It is nice to know on the other side that we did it and we survived. We got the food out and it was great. The kids liked it. Doing little things like that instills confidence,” said Cowens-Gasbarro. She hasn’t faced too many challenges yet, but because she was new to school nutrition, she had a lot to learn, said Cowens-Gasbarro. She didn’t know anything about the requirements of school nutrition and reimbursements when she began. And, she added, because the standards shift and change, that kind of learning will be a constant. In addition to events like farm to school days at the high school and middle school, Cowens-Gasbarro will be planning things for the elementary schools, such as an “animal day” in Raymond, where they are making frog shaped sandwiches, and trying to tie lunch in with the curriculum in fun ways. “We want to get kids more into the lunch, and that’s kind of the way to their heart at that age, is to make food fun,” she said. 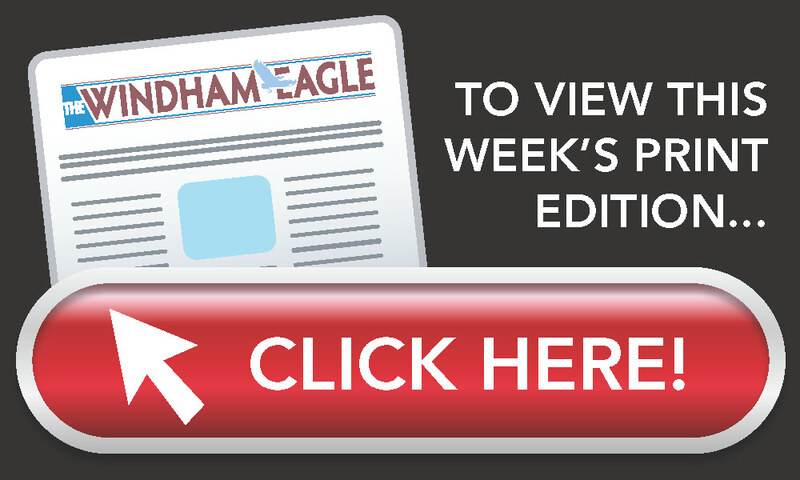 Windham Police officers have added a new ribbon to their uniforms for the month of October. The ribbons are not for their heroism or bravery, but for those who are battling or survived breast cancer. The month of October is National Breast Cancer Awareness month. “The idea popped into my head during homecoming week with the team supporting Deb McAfee. Our team can participate in this effort to honor the many lives lost each year, to promote the importance of early detection, and support the many survivors,” said Officer Matt Cyr. 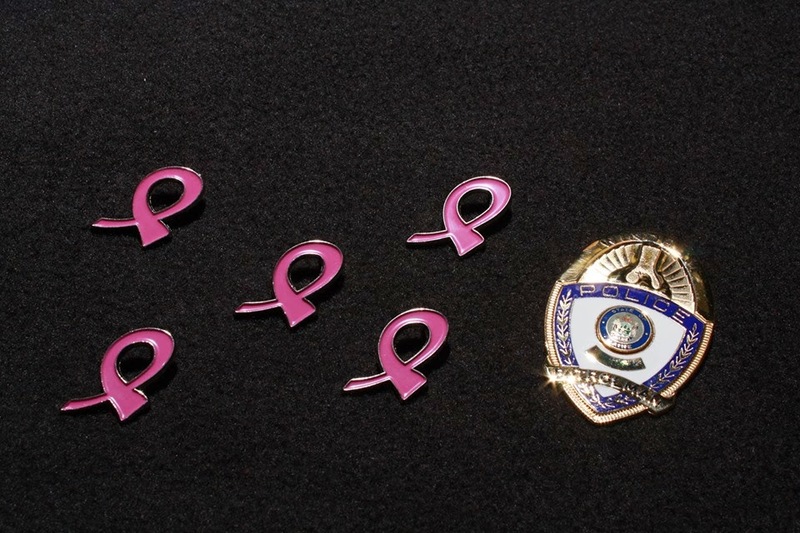 When he pitched the idea to the police chief, the chief, Rick Lewsen, was in favor of the pins because “we all know someone that has been affected by breast cancer,” the Windham Police Association wrote on their Facebook page. Although, not mandatory, officers who wanted to were asked to give a donation to the American Cancer Society for the pins and most of the officers then wanted to donate to the local Windham Cancer Support Group, according to WCSG member Kim Murray. 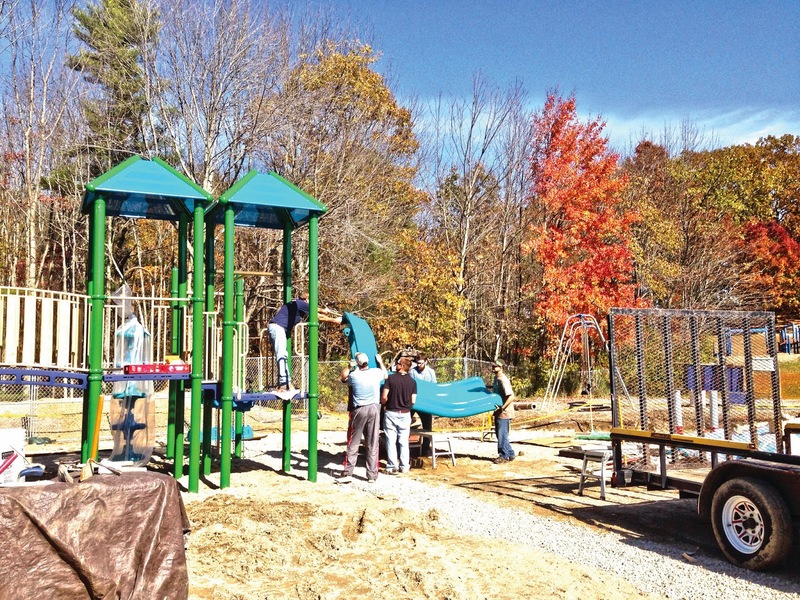 On Saturday, October 12th, the parking lot of Buck’s Naked BBQ in Windham was transformed into a lively fall festival offering not only family fun, but an opportunity to for several communities to come together and help others. Octoberfest was put on by the Sebago Lakes Region Chamber of Commerce as part of the Community Coin Challenge to benefit food pantries in all ten communities served by the chamber. Sheri Huff, organizer of the event, said 35 local businesses were involved, up from 31 last year. Donations were on track to raise as much or slightly more than last year’s $21,000. The final donation total was not available before press time. Proceeds will be distributed to the food pantries in November. Huff conceived the idea for Octoberfest after the chamber discussed wanting to do something that involved all ten towns. 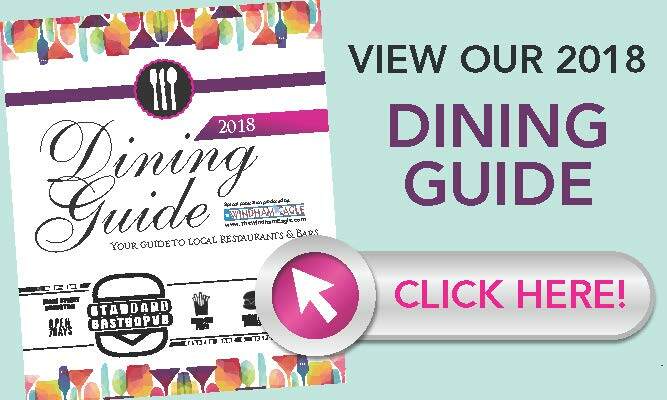 Now in its second year, the event has grown slightly, and Huff said there are already things they want to add for next year, including coffee and hot chocolate, balloons, and having the high school mascots and cheerleading squads from the towns participate. Huff recruits businesses to participate and as word spreads, she said, people also call her. Huff said her ultimate goal is to have all the chambers in the state participate with a similar event all on the same day, and raise $1 million for food pantries statewide. A steady stream of people wandered through the festival stopping to chat at the booths and participate in the variety of activities offered. Booths were well spaced and there were enough things to see and do that the event never felt too crowded, and nothing had a long wait time. Two bounce houses meant even those didn’t get too backed up, as they often do at this kind of event. Two shuttles from the parking lot at the Manchester School ensured that everyone could find a place to park and get to the festival without a long walk or a long wait. Smiling children moved from one activity to another, including face painting, bounce houses, temporary hair color and temporary tattoos, bobbing for apples, decorating pumpkins and a cupcake eating contest. Montgomery Road Band and deBreeze & Keys kept the crowd entertained with live music on a stage outside Buck’s. Horse drawn wagon rides made a loop through and behind the festival area. Booths offered soda and water, hot dogs and sausages, Subway sandwiches, apples, cotton candy, popcorn and more – all free of charge. Mason jars set out at each booth collected donations for the food pantries. Becky Mathews, watching her daughter Emma having her face painted, said that the article in last week’s Windham Eagle brought them to the festival. She appreciated seeing what the community has to offer. “It’s good to know what’s around, who’s around and what everybody is doing,” she said. Robin Mullins, office manager of Octagon Cleaning, was operating the pumpkin decorating booth. She attended Octoberfest last year because her daughter, a dancer, was performing. This year, she said, it was nice to help out as a business participant. She felt like there were more people in attendance this year, and participation at the booth was non-stop, she said. An event like Octoberfest helps bring awareness to the community around the needs of the food pantries said Mullins. “People don’t think about how much of a need the food pantry has,” she said, adding that the needs go beyond food to things like pet supplies, diapers and more. 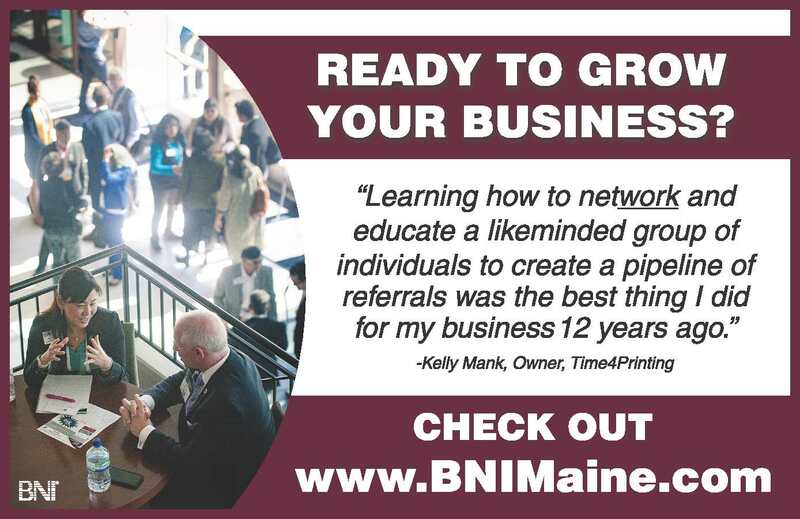 “It’s nice to have an opportunity to share and let people know. It really brings it to light,” she said. 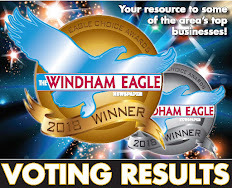 She also liked that the event went beyond Windham, highlighting the need in the surrounding areas as well. Nicole Getchell, owner of Dancemakers, set up a play area with mats, hula hoops, and a chalk foursquare court. Octoberfest was her first Dancemakers’ event, she said, and she was having a lot of fun. “The opportunity to raise funds for local charity is always a good thing,” she said. 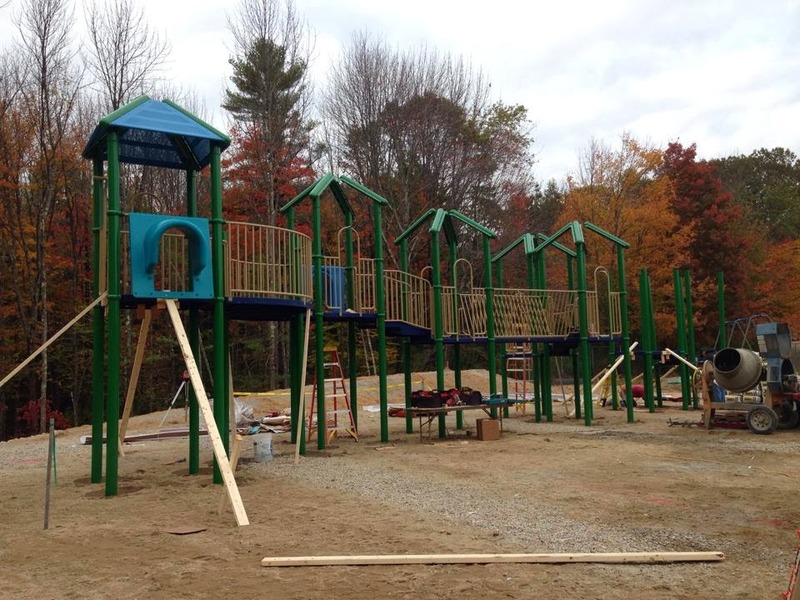 “I’m glad to have something for kids to come in and have a little extra activity,” she added. Dancers from the studio put on a spirited performance for the crowd. Susan Brown, whose husband works for Bucks Naked BBQ, watched her children Hailey and Ian enjoy the hula hoops and mats towards the end of the festival. She said she tried to spread the word and get friends and family out to the event. “It’s a great event. I’m happy to be here, and happy to help the community,” she said.